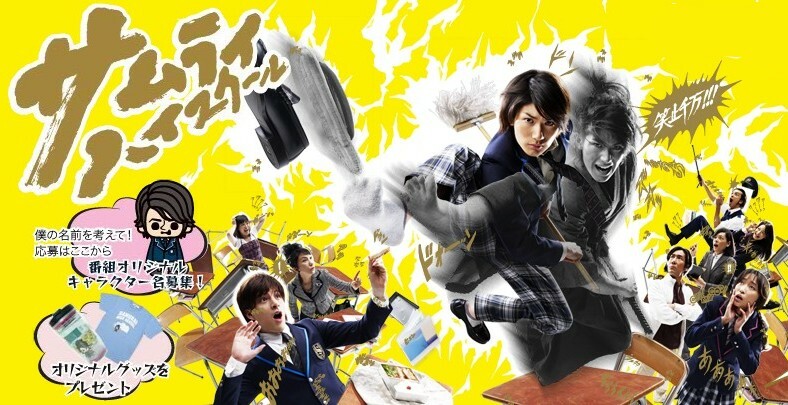 Kotaro Mochizuki (Haruma Miura) is a timid, introspective teenager who attends a private high school. One day he discovers a mysterious old book and from that day on, whenever he finds himself in a difficult situation, he turns into a samurai warrior. Rebecca Feb 10 2015 8:54 pm I loved this drama! I feel like i do have byes opinions towards this series not only because of haruma mirua but i also can relate so much to the main character, and relate to how he's feeling. We are very similar. I think this drama is a dark horse, even though people says it has flaws, none that stops enjoyment. Please have a go at this drama. Tod Jan 22 2015 9:09 am Hello there, You have done a great job. I'll certainly digg it and personally suggest to my friends. I am confident they'll be benefited from this website. ace Nov 16 2014 2:39 pm For various reasons, all unjustified as it turns out, I have avoided watching this for quite a while. It turns out it is a really well cast. In fact think the casting was near perfect. They were very fun to watch. The script was fun as well. Lot of "lessons" played out without feeling like treacle. By no means is the show perfect. But none of the flaws influence viewing pleasure to any measurable degree. i recommend it if you are looking for something less on the heavy side and more fun side. Gabriel Benitez Nov 27 2013 7:43 am Totally Awsome!!!! Elena Sep 01 2013 7:57 am It is good, I really enjoyed watching the episodes, although it is a morally edifying series, which seems to be a good thing, too. Who was a director of sword scenes? kyouya2909 Sep 22 2011 11:18 am Cute & funny drama! Must watch! watashi14 Sep 25 2010 4:26 am i've finished the drama.. it's fun n i love it.. love ya, miura haruma..